Botanical name: Carya Illinoinensis. Extraction Method: Cold Pressed. Processing Type: Refined. Obtained From: Nuts. Ingredients: Pecan oil, 100% Pure, NO additives or carriers added. Color: Pale yellow to golden yellow liquid. 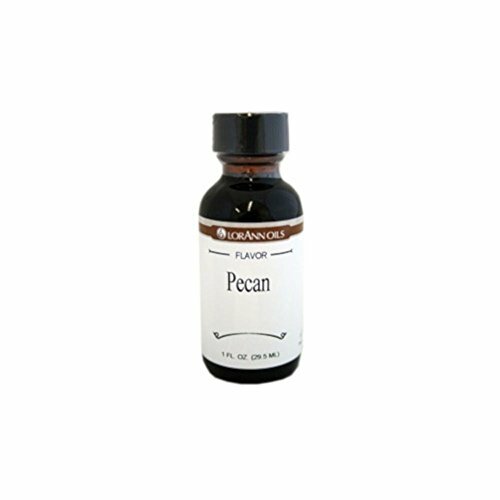 Aromatic Description: Pecan Oil has very little scent characteristic of most carrier oils. Common Uses: Pecan Oil comes from ground nuts. This oil commonly used in making soaps and used in massage oils and other massage products. Pecan oil is also high in vitamin E which is great for moisturizing the skin when used in soaps and other cosmetics. Also great for hair, and skin when ingested. Pecan oil contains high amounts of vitamin E and phytosterols which are essential to get rid of the free radicals in blood. Another benefit of Pecan oil is that it contains linoleic acid which is a precursor of prostaglandins. Prostaglandins are essential to carry out several important functions in the body like contraction and dilation of blood vessels, and other muscles in the body. Those including pecan cooking oil in moderate amounts in their diet regularly, are also believed to maintain proper levels of cholesterol and maintain proper heart health. Other uses include: cooking, biodiesel, massage oils, soaps, and weight loss. We are buying our oils from organic certified supplier, made with organic ingredients. Shelf Life: Users can expect a shelf life of 1 year with proper storage conditions (cool, out of direct sunlight). Your item(s) will be shipped the same business day or next business day of confirmation of payment if received by 3:00 pm PST. (not including weekends or holidays). When you receive your item and are pleased with our transaction, please let us know by leaving positive feedback, we will do the same for you in return. 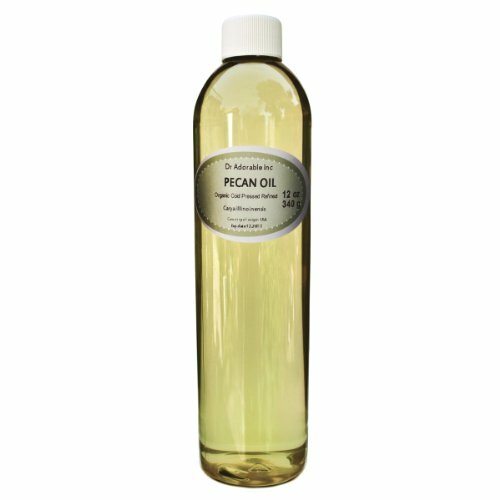 Look forward to do business with you, H&B OILS CENTER Co.
Pecan Oil is a refined oil used primarily in culinary applications however it is also an ideal oil for many massage, aromatherapy and cosmetic applications. 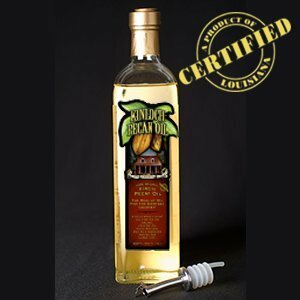 The appearance of our refined Pecan Oil is a clear light yellow liquid with a bland characteristic odor and taste. 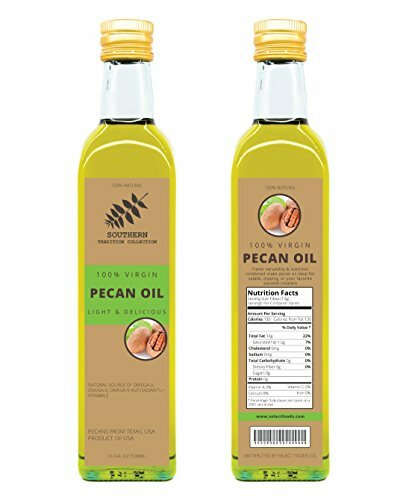 Key characteristics of Pecan Oil include the oil's low saturated fatty acid content and it's relatively high levels of Oleic (C18:1) acid. As a result of Bulk Pecan Oil's higher smoke point, the oil works well for sautéing, brazing and stir frying. 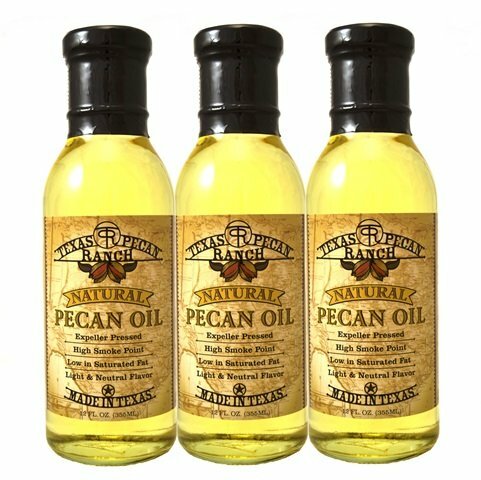 Texas Pecan Ranch Pecan Oil is a Heart healthy cooking oil for every day use. It's especially good for sautéing, stir fry, braising and baking. It's excellent in salad dressings and marinades. Pecan oil may be used as an olive oil and butter substitute, and has high smoke point of 470 degrees.